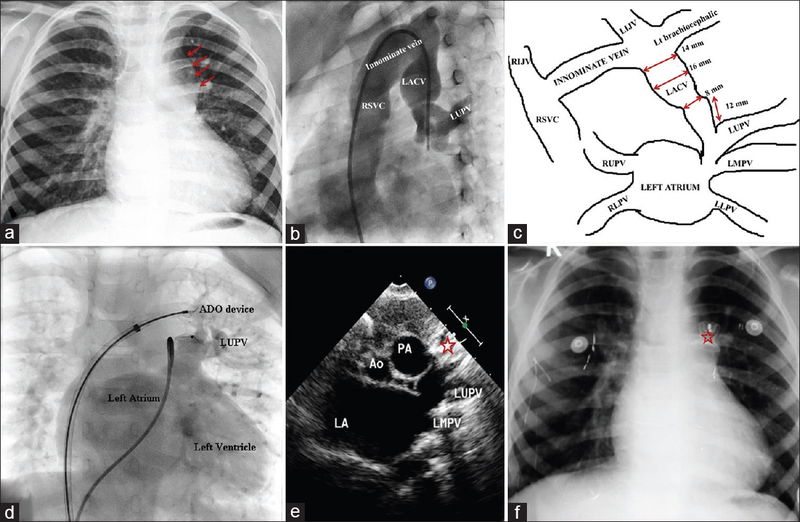 Background: Perforation of pulmonary valve using radiofrequency ablation in pulmonary atresia with intact ventricular septum (PA IVS) is a treatment of choice. However, significant cost of the equipment limits its utility, especially in the developing economies. 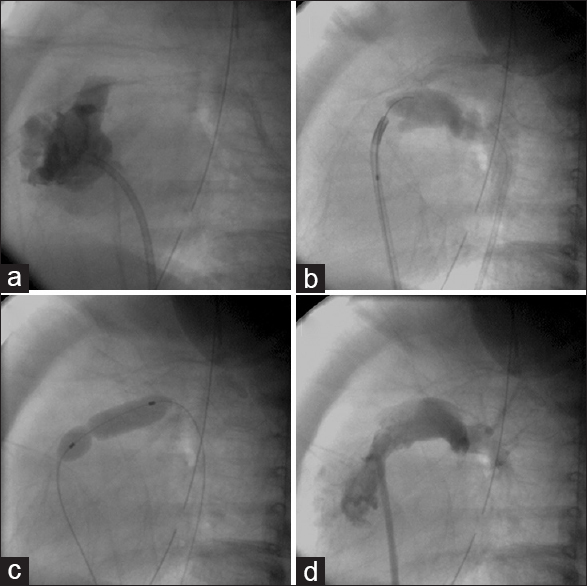 Objective: To assess the feasibility, safety, and efficacy of perforation of pulmonary valve using chronic total occlusion (CTO) wires in patients with PA IVS as an alternative to radiofrequency ablation. Methods: This is a single.center, nonrandomized, retrospective study conducted during June 2008 to September 2015. Twenty-four patients with PA IVS were selected for the procedure during the study period. The median age and weight of the study population were 8. days and 2.65 kg, respectively. Four patients were excluded after right ventricular angiogram as they showed right ventricular-dependent coronary circulation. 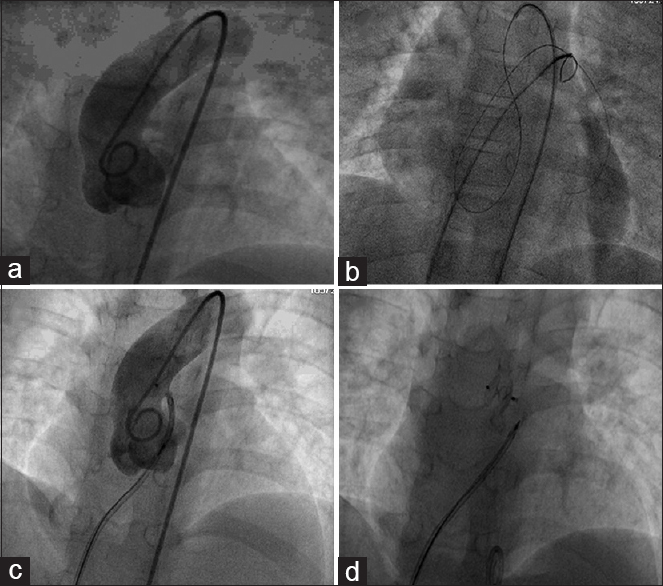 The pulmonary valve perforation was attempted using various types of CTO wires based on the tip load with variable penetrating characteristics. Results: The procedure was successful in 16 of twenty patients using CTO wires: Shinobi in nine, Miracle in four, CROSS-IT in two, and Conquest Pro in one. Two patients had perforation of right ventricular outflow tract (RVOT). 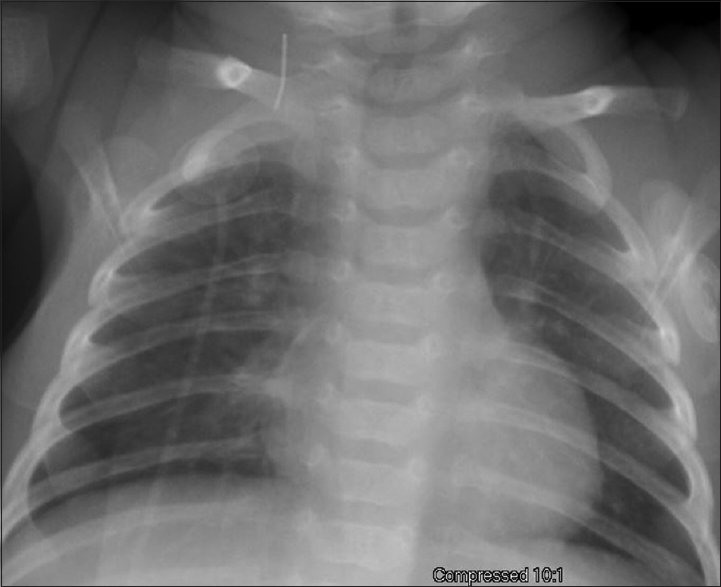 Pericardiocentesis was required in one patient to relieve cardiac tamponade. Later, the same patient underwent successful hybrid pulmonary valvotomy. The other patient underwent ductus arteriosus. (DA) stenting. 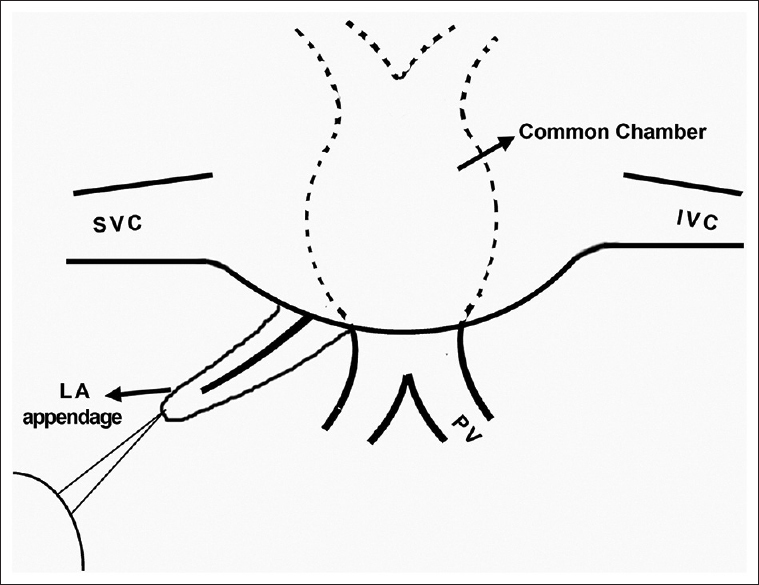 Balloon atrial septostomy was needed in three cases with systemic venous congestion. Desaturation was persistent in five cases necessitating DA or RVOT stenting to augment pulmonary blood flow. There were two early and two late deaths. The mean follow-up was 22.66. ± 16 months. Three patients underwent one and half ventricle repair and one Blalock-Taussig shunt during follow-up. Conclusion: Perforation of the pulmonary valve can be done successfully using CTO wires in selected cases of pulmonary atresia with intact ventricular septum. 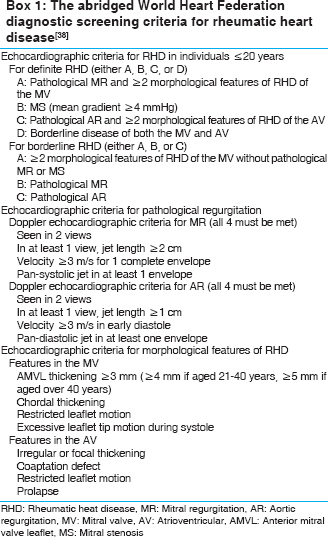 Objective: The objective of this study was to determine whether left ventricular (LV) myocardial deformation indices can detect subclinical abnormalities in Kawasaki disease convalescence. We hypothesized that subclinical myocardial abnormalities due to inflammation represent an early manifestation of the disease that persists in convalescence. Background: Myocardial inflammation has been described as a global finding in the acute phase of Kawasaki disease. Despite normal systolic function by routine functional measurements, reduced longitudinal strain and strain rate have been detected by echocardiography in the acute phase. 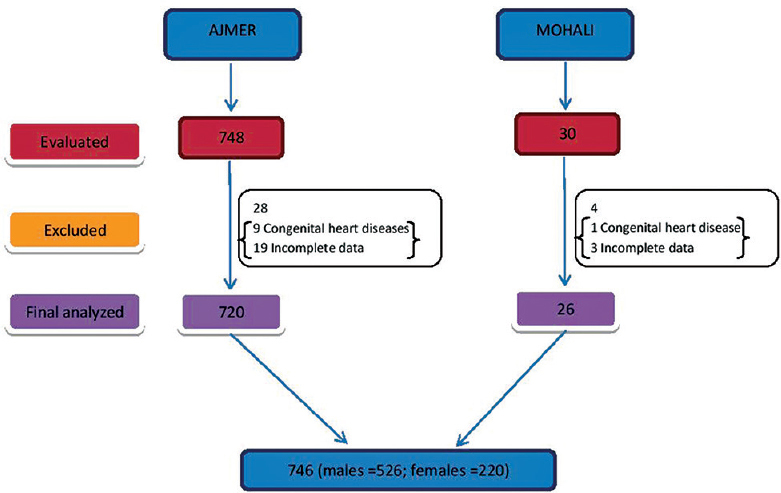 Methods and Results: Peak systolic LV myocardial longitudinal, radial, and circumferential strain and strain rate were examined in 29 Kawasaki disease convalescent patients (15 males; mean [standard deviation] age: 11 [6.6] years; median interval from disease onset: 5.8 [5.4] years) and 10 healthy volunteers (5 males; mean age: 14 [3.8] years) with the use of cardiac magnetic resonance (CMR) feature tracking. Routine indices of LV systolic function were normal in both groups. 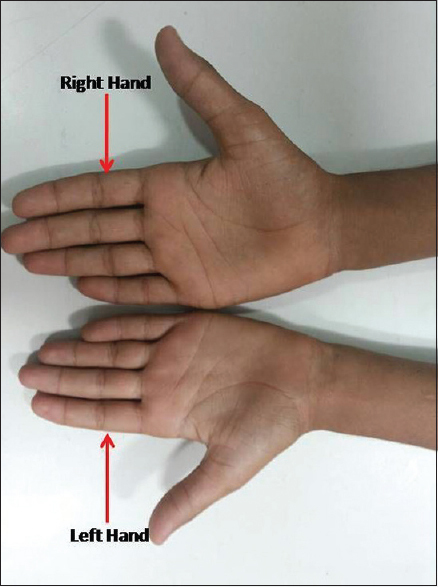 Comparisons were made between normal controls and (i) the entire Kawasaki disease group, (ii) Kawasaki disease subgroup divided by coronary artery involvement. Average longitudinal and circumferential strain at all levels was lower in patients compared to normal controls. In subgroup analysis, both Kawasaki disease patients with and without a history of coronary involvement had similar longitudinal and circumferential strain at all levels and lower when compared to controls. There were lower circumferential and longitudinal values in Kawasaki disease patients with persisting coronary artery lesions when compared to those with regressed ones. Conclusion: In this CMR study in Kawasaki disease convalescent patients with preserved routine functional indices, we detected lower circumferential and longitudinal strain values compared to normal controls, irrespective of the coronary artery status. In many developing countries, concerted action against common childhood infectious diseases has resulted in remarkable reduction in infant and under-five mortality. As a result, pediatric cardiovascular diseases are emerging as a major contributor to childhood morbidity and mortality. Pediatric cardiac surgery and cardiac catheterization interventions are available in only a few of Sub-Saharan African countries. In Uganda, open heart surgeries (OHSs) and interventional procedures for pediatric cardiovascular disease are only possible at the Uganda Heart Institute (UHI), having been started with the help of expatriate teams from the years 2007 and 2012, respectively. Thereafter, independent OHS and cardiac catheterization have been possible by the local team at the UHI since the year 2009 and 2013, respectively. The number of OHSs independently performed by the UHI team has progressively increased from 10 in 2010 to 35 in 2015, with mortality rates ranging from 0% to 4.1% over the years. The UHI pediatric catheterization team has independently performed an increasing number of procedures each year from 3 in 2013 to 55 in 2015. 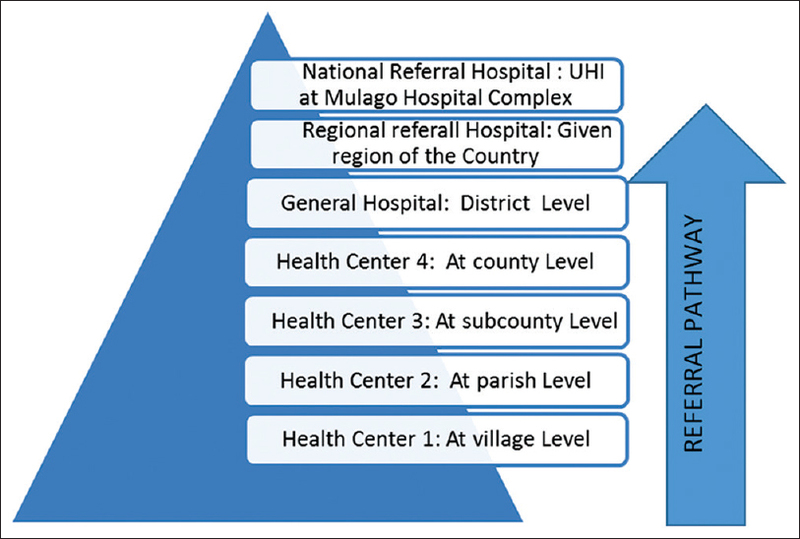 We herein describe the evolution and current status of pediatric cardiovascular care in Uganda, highlighting the unique aspects of its establishment, existing constraints, and future plans. 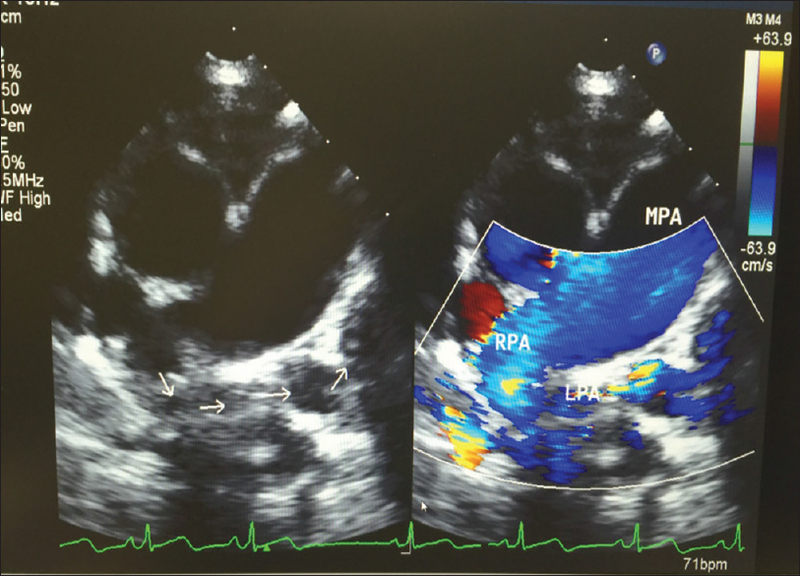 Tricuspid valve (TV) injury following transcatheter closure of perimembranous ventricular septal defect (PMVSD) with Amplatzer ductal occluder I (ADO I), requiring surgical repair, is rare. We report two cases of TV tear involving the anterior and septal leaflets following PMVSD closure using ADO I. In both the patients, the subvalvular apparatus remained unaffected. 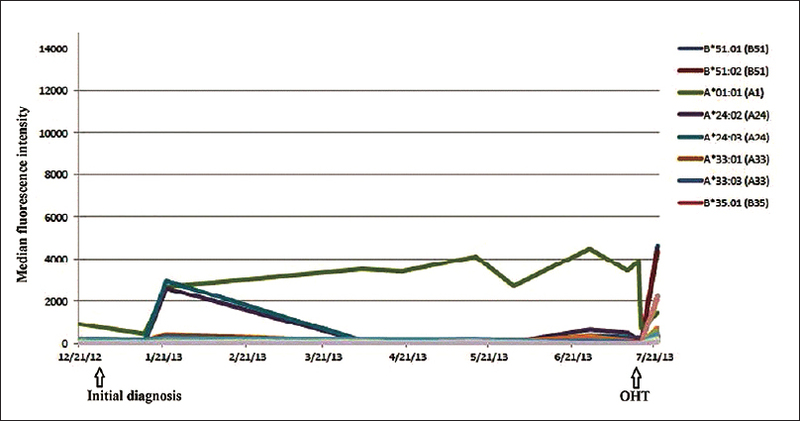 The patients presented with severe tricuspid regurgitation (TR) 6 weeks and 3 months following the device closure. They underwent surgical repair with patch augmentation of the TV leaflets. Postoperatively, both are asymptomatic with a mild residual TR. 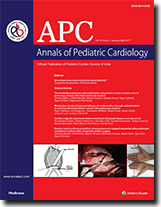 Early primary graft failure after pediatric orthotopic heart transplantation (OHT) has a high mortality rate and can occur due to several causes including but not limited to prolonged graft ischemia time, suboptimal preimplant myocardial preservation, hyperacute rejection, and maladaptation of the graft to the host's hemodynamic status. 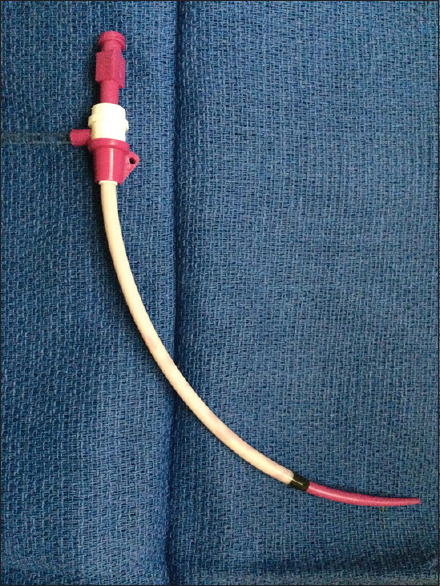 Mechanical circulatory support with either extracorporeal membrane oxygenation (ECMO) or ventricular assist device has been used for the rescue of primary graft failure in pediatric patients after heart transplant. Cardiac arrest before ECMO initiation in these patients is associated with adverse neurologic outcome although those surviving to hospital discharge generally have excellent long-term outcome. 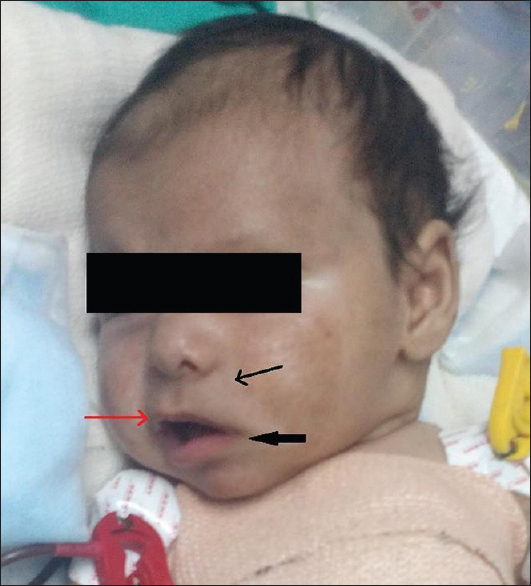 We report a case of early primary graft failure after OHT who required ECMO support and successful rescue with plasmapheresis, immunoglobulins, and alemtuzumab. 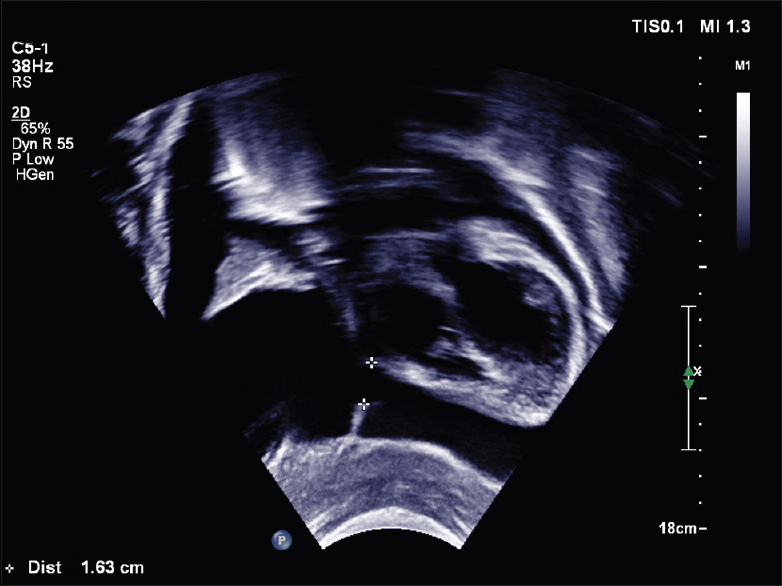 A 28-week-old fetus was detected to have a single left atrial mass in prenatal ultrasound. 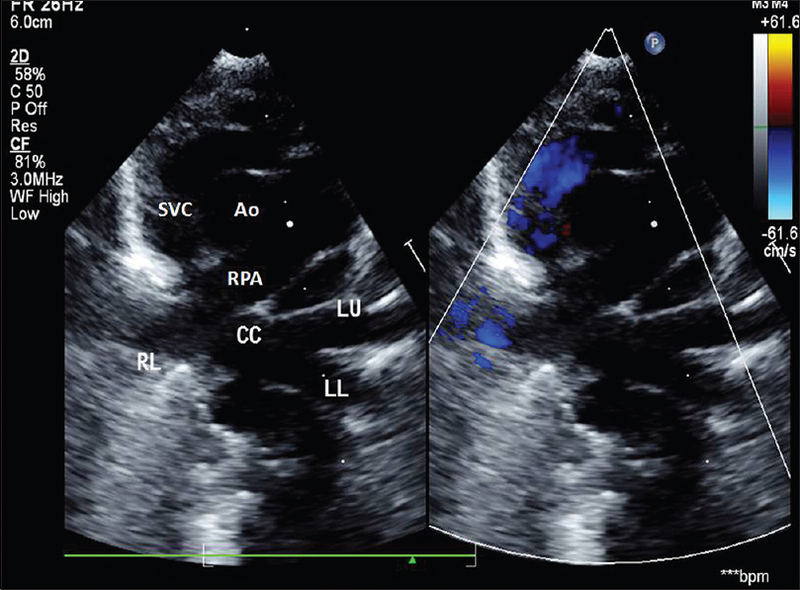 Postnatal echocardiography showed an aneurysm between the anterior mitral leaflet and aortic valve, to the left of atrioventricular junction and communicating with the left ventricle through a narrow mouth. It probably originated from the mitral-aortic intervalvular fibrous tissue and an inherent weakness at this site might be the cause. 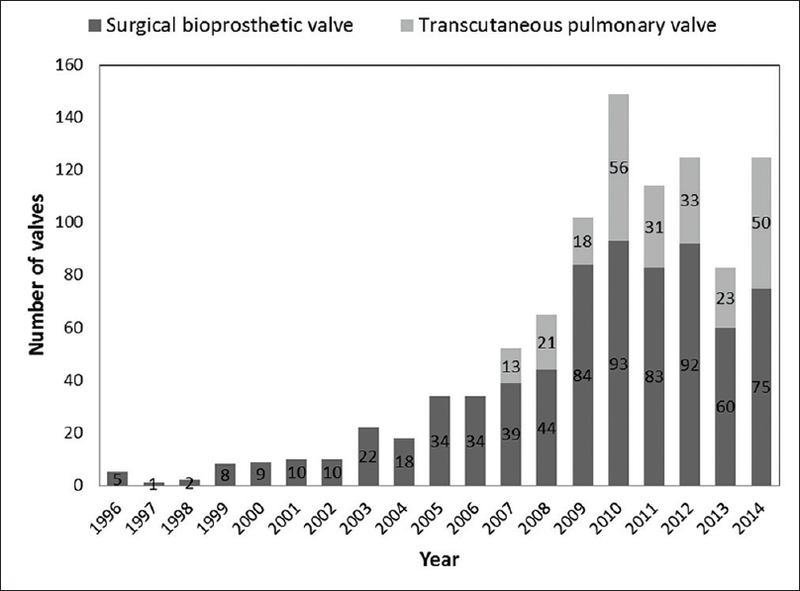 Reported cases of pseudoaneurysm of mitral-aortic intervalvular fibrosa and subvalvular ventricular aneurysms seen following infective endocarditis, surgery, or trauma seem to have a similar anatomical background. This case explains the possibility of congenital aneurysm in this location which needs to be considered a differential diagnosis in similar cases. Twin-to-twin transfusion syndrome (TTTS) at times complicates monochorionic twin gestations, resulting in conditions ranging from discordant sizes to fetal demise of one baby. Various types of cardiac defects have been described in the recipient twin of this syndrome. Isolated great artery calcification, i.e. aortic and pulmonary artery calcification is one such uncommon condition associated with TTTS. Calcification of the walls of great vessels may be due to chronic vascular injury sustained as a result of circulatory volume overload in the recipient twin. It may also cause severe systemic hypertension and cardiomyopathy. An accurate diagnosis is important for an optimal follow-up and appropriate genetic counseling. We report a case of aortic and pulmonary artery calcification in association with TTTS. 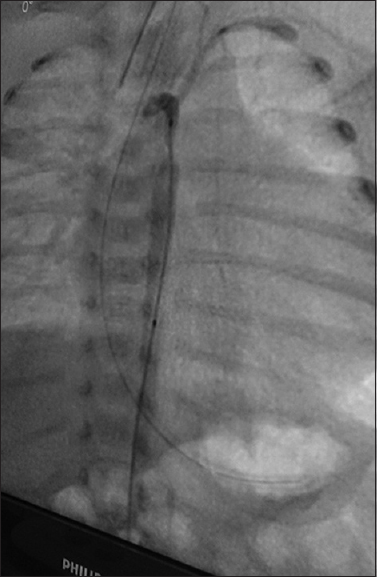 A 6-year-old boy presented with dual drainage of left upper pulmonary vein, with connection to innominate vein inaddition to its normal connection to the left atrium. Despite relief of aortic stenosis at the age of 3 years, significant left to right shunt persisted. 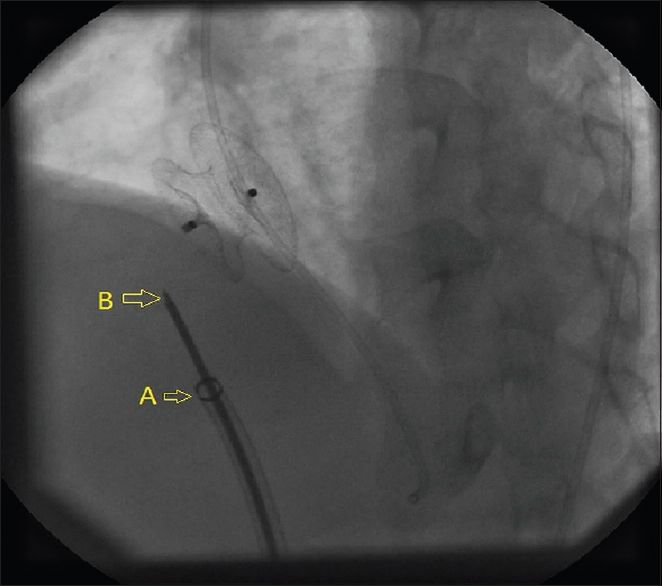 The dual drainage allowed successful percutaneous closure of the levoatriocardinal vein without obstruction to the pulmonary venous flow to the left atrium. 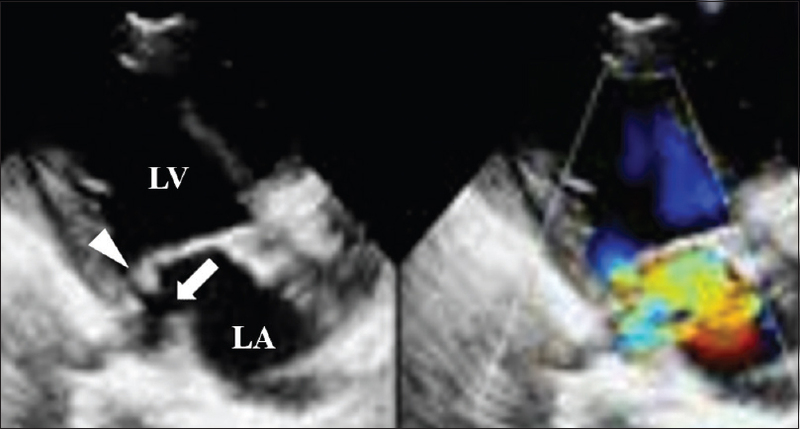 Transthoracic echocardiogram of a 3-year-old child showed a hypoechoic cavity in the posterior wall of the left atrium communicating with the left ventricle through an orifice in the mitral annulus, suggestive of pseudoaneurysm (Ps), probably the result of infective endocarditis. Three-dimensional echocardiography was helpful to confirm the diagnosis and assess the anatomical relationship of the Ps. Pediatric cardiac tumors are rare and usually benign. An infectious etiology like tuberculosis invading myocardium and presenting as infiltrative mass is extremely rare. 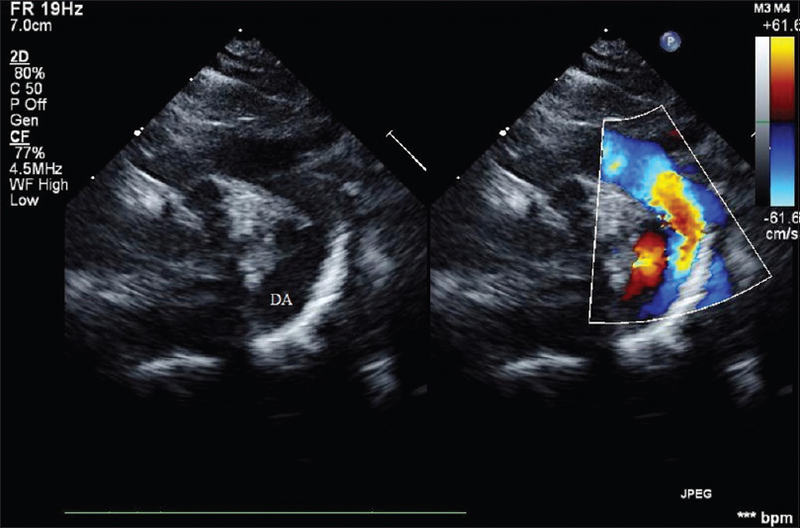 We present a case of a 15 month old girl with clinical feature of cardiac failure who had infiltrative multiple myocardial masses in echocardiogram. 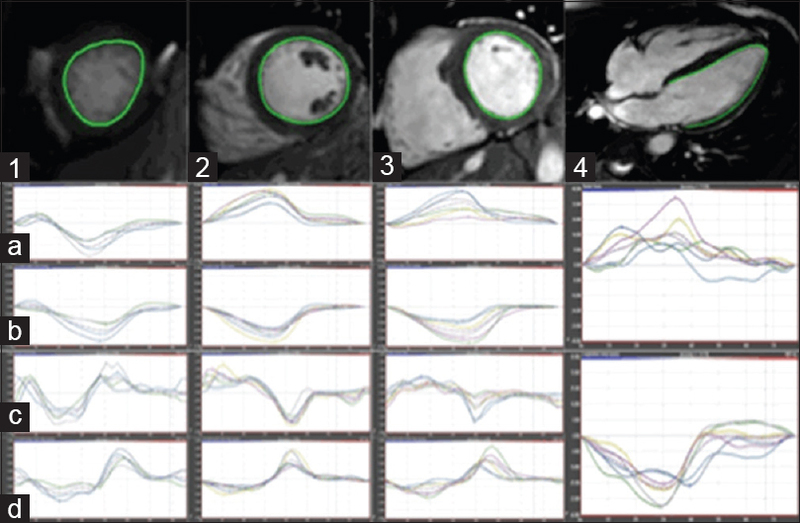 Advanced cardiac imaging by Cardiac Magnetic resonance imaging (MRI ) helped in tissue delineation. 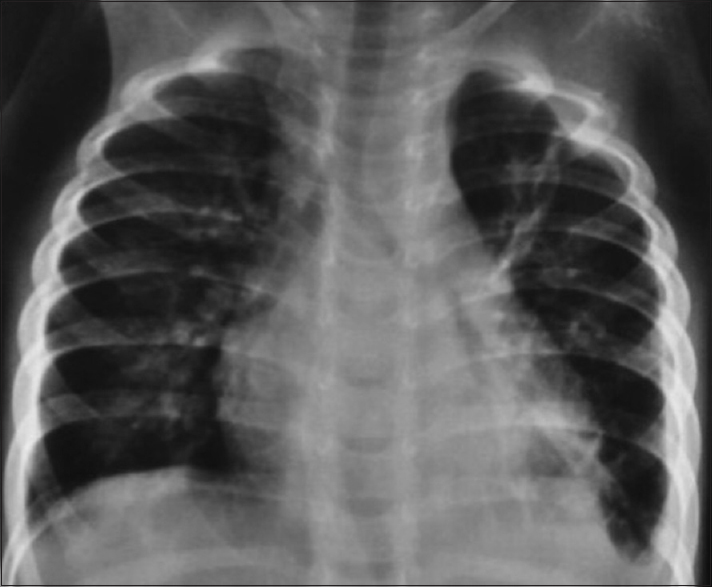 Therapeutic trial of anti-tubercular drugs in view clinical suspicion of Tuberculosis resulted in complete remission of symptom and disappearance of the cardiac mass.